By Melissa Lennig on November 2, 2016 4 Comments. This content contains affiliate links. As an Amazon Associate I earn from qualifying purchases. Inside: Kids of all ages will enjoy using leaves, twigs, pebbles, and pine cone to make creative nature art! 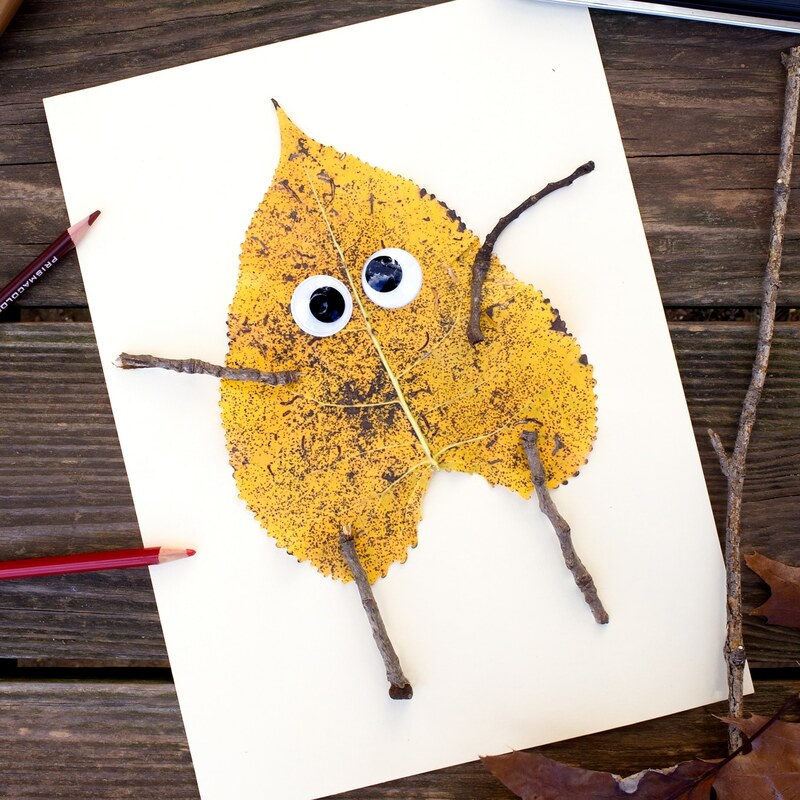 It’s the perfect fall nature craft for kids. Fall is the perfect season for enjoying nature and playing outside with your family. There is so much to see, do, and learn about. 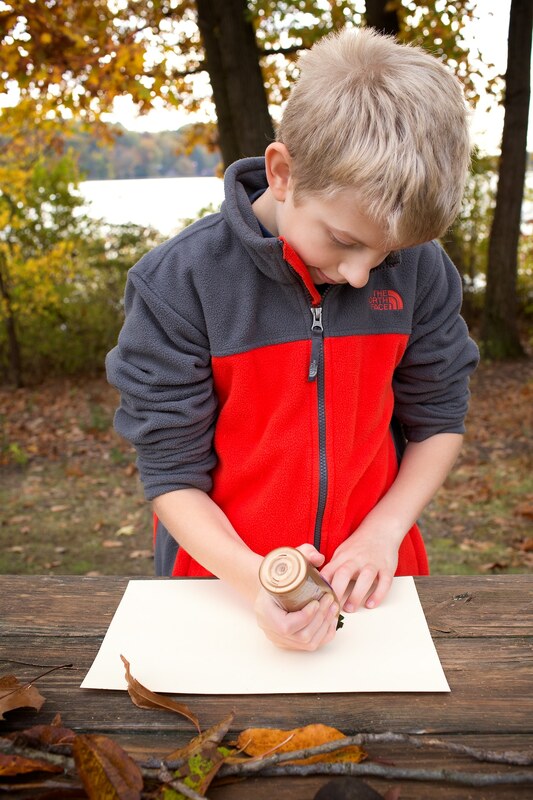 Sending gratitude to CLIF Kid® for sponsoring today’s activity, Creating Nature Art with Kids. CLIF Kid® makes nutritious snacks from organic ingredients that are specially-crafted for kids’ developing taste buds and active lives. Balanced and active play lays the foundation for a skilled, healthy, resilient, and successful society. Sadly, play is rapidly disappearing from our homes, schools, and communities. Did you know that while approximately 70% of moms played outside when they were young, only 31% of their kids play outside today? Moms, we need to change that. Like me, you probably enjoy fond childhood memories of playing outside with your friends and family. Let’s give our kids the same fresh-air experiences! Whether enjoying a nature walk, a bike ride, free play in the yard with friends, or a visit to an outdoor place of play, the important thing is that outdoor play happens daily. 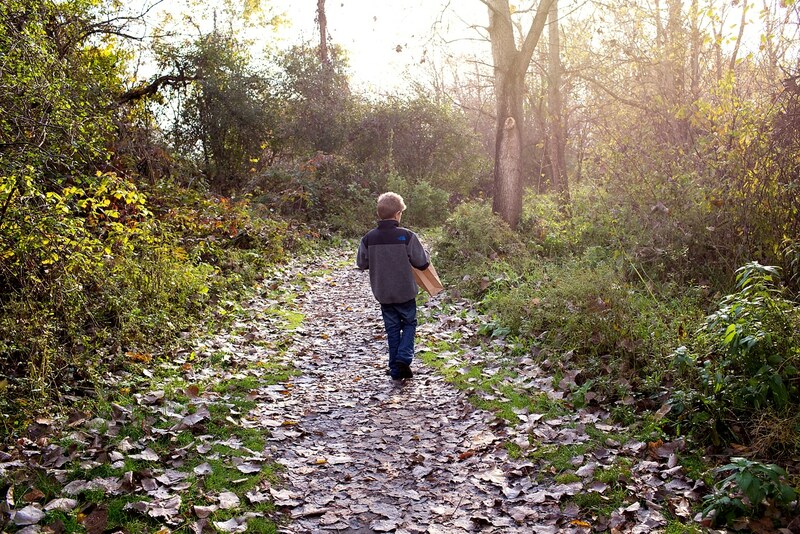 One simple way to get kids outside is with a nature scavenger hunt! Give children a small paper lunch bag and challenge them to collect natural objects from the forest floor in every color from red to violet. 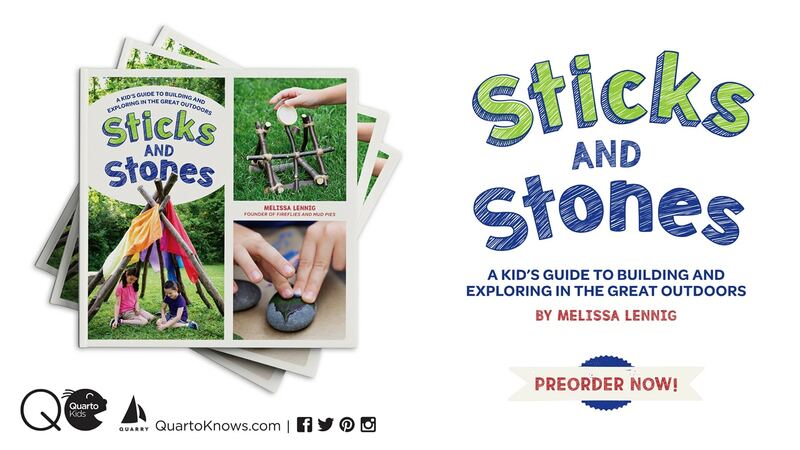 The natural objects they collect will be perfect conversation starters, keepsakes, and art supplies for Nature Art. Our favorite time of day to get outside is after school. Not only is the sunlight beautiful in outdoor places of play, but there is a better chance of seeing crepuscular animals like deer, fox, and rabbits. I always bring along a backpack that contains my camera, our Ohio nature guide, art supplies, sketchbooks, water, and healthy on-the-go snacks. We often settle down under a tree with our sketchbook and a CLIF Kid Zbar® in hand. 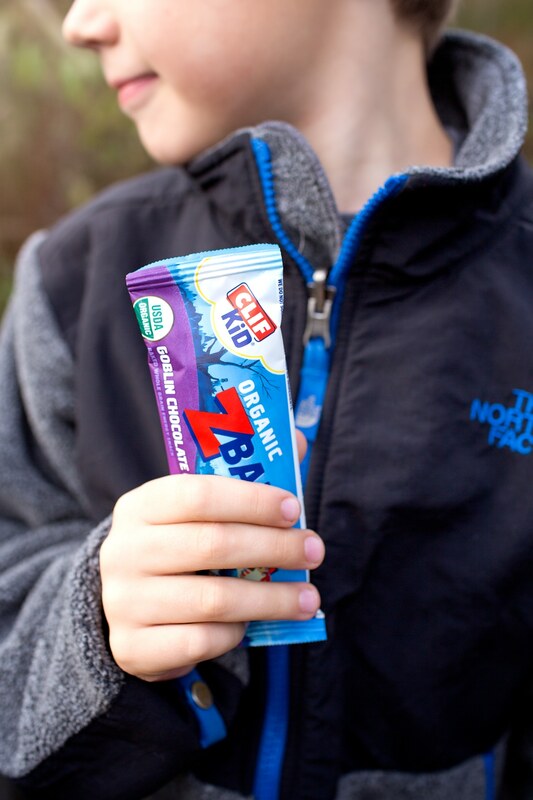 The delicious non-GMO CLIF Kid Zbar® is made with nutritious organic ingredients and whole grains. 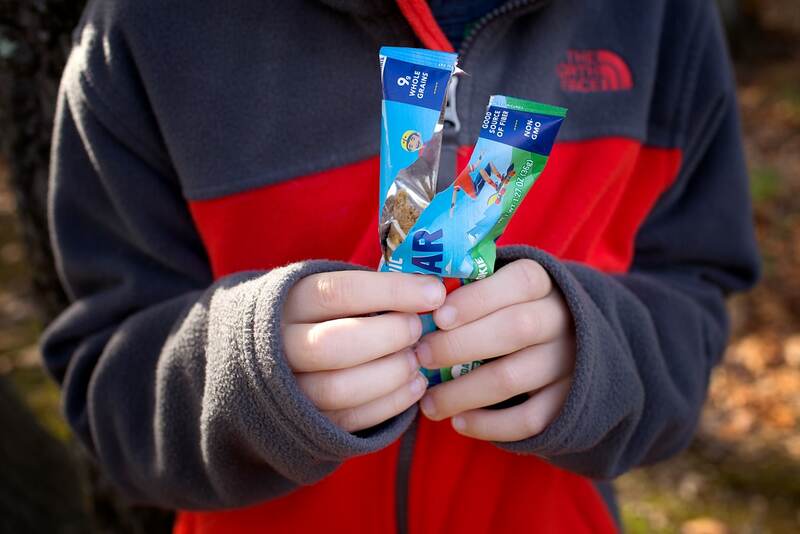 CLIF Kid Zbars contain no high fructose corn syrup, artificial flavors, or synthetic preservatives which means it’s a snack I can trust to fuel my active, growing kids. My kids and I especially love the Iced Oatmeal Cookie and Chocolate Chip bars. Watch: How CLIF Kid is dedicated to reclaiming play all year long. After snack, head to a picnic table with the kids to create Nature Art. 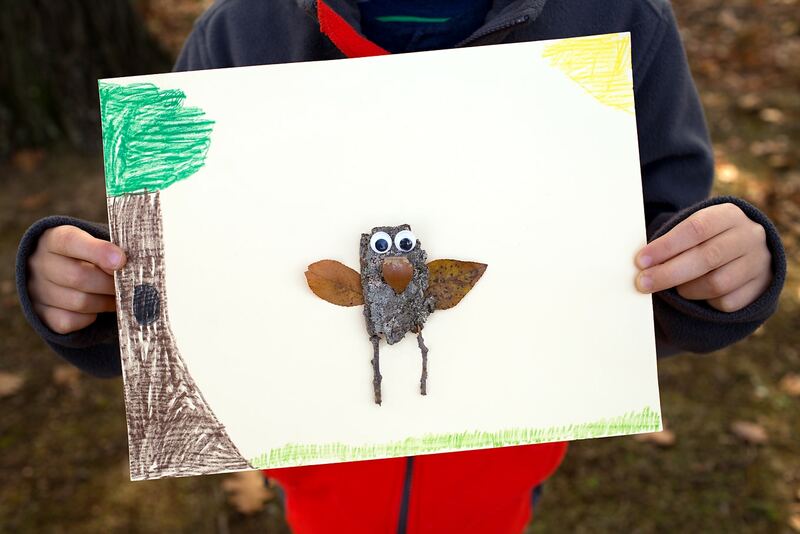 Kids will enjoy creating funny animals, characters, and scenes with bark, acorns, leaves, twigs, pinecones, and small stones. 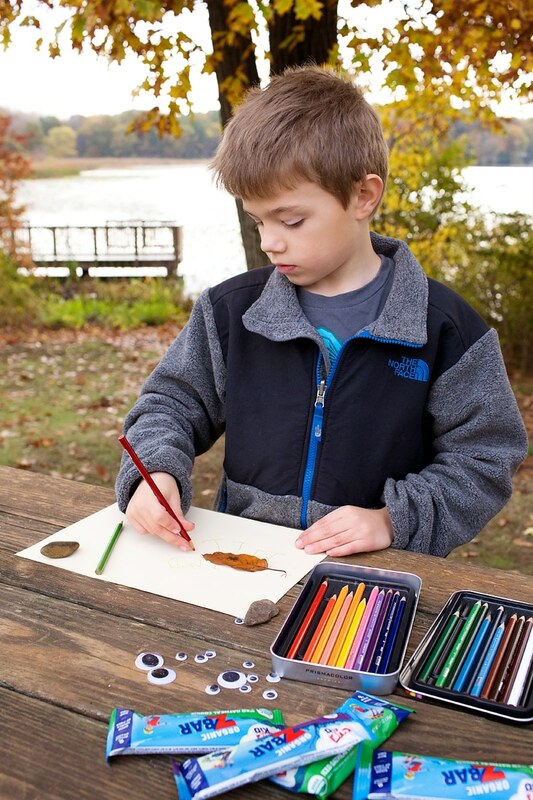 Invite kids to add details to their Nature Art with crayons, markers, or colored pencils. Such a cute craft! We love CLIF bars too. So yummy. Love love love! I know many kiddos who are going to be happy to do create some nature art this month!